K Chandrashekar Rao-led TRS on Tuesday decimated Telangana's Mahakutami bagging 88 seat in the 119-member Assembly. Telangana: K Chandrashekar Rao-led Telangana Rashtra Samithi (TRS) cleared the polls in the state trumping the TDP-Congress alliance in the youngest state of the country on Tuesday. 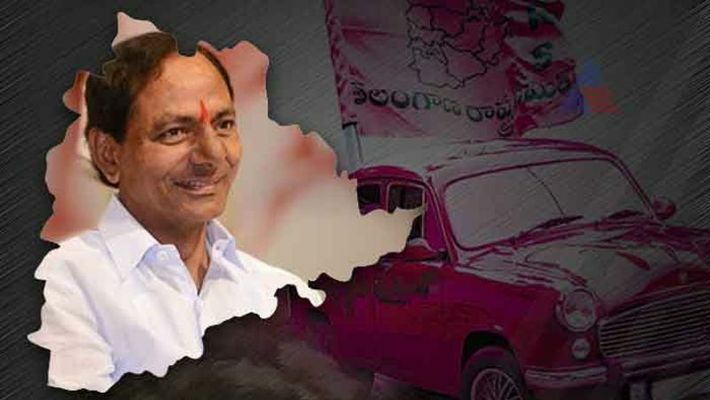 The TRS won 88 seats in the 119-member Assembly giving K Chandrasekhar Rao (KCR) a clear majority. The Mahakutami led by TDP-Congress alliance captured 21 seats in total (Congress 19, TDP 2). With Mahakutami led by TDP, Congress and other parties, TRS cruised for a clear victory in the Legislative Assembly elections. Here are five possible ways where KCR's TRS destroyed the Mahakutami in the election. Telangana's demand for a separate statehood rose from its angst against Andhra Pradesh. N Chandrababu Naidu, the chief of TDP, played a significant role in fighting against the separation. TRS played on this sentiment to retain power. Though Congress helped TRS by dividing Telangana and Andhra Pradesh, their alliance with TDP left the people of Telangana dejected. If the Congress had not joined hands with the TDP, Congress may have stood a better chance. Telangana Congress working president Revanth Reddy was picked up by the Telangana police from his residence, thanks to his controversial statements against KCR. Ahead of Rao's meeting in Kodangal, Revanth Reddy threatened to protest. The police alleged that it was a preventive arrest on the orders of the Election Commission (EC). This issue turned advantageous for the TRS. Rythu Bandhu scheme in Karimnagar ensured that a vast majority of farmers in the state would get Rs 8,000 per acre per year for two crops. And this played a significant role in the Telangana elections. KCR's two-bedroom housing scheme for those Below Poverty Line (BPL) too helped in gathering votes. While Telangana Pradesh Congress Committee's Uttam Kumar Reddy came to the forefront during this election, he wasn't a prominent face to gather the mass. Chandrababu Naidu seemed to become the face of Mahakutami that led to its downfall. Muslims comprise 12.5% of the Telangana population. TRS managed to focus and capture this segment eating into Congress's vote bank. Meanwhile, Mahakutami attended to those constituencies that had Andhra settlers. Though the polling percentage stood at 73.2%, 4.7% more than in 2014 elections, the voter turnout was very low in these segments, which again proved to be in favour of the TRS.